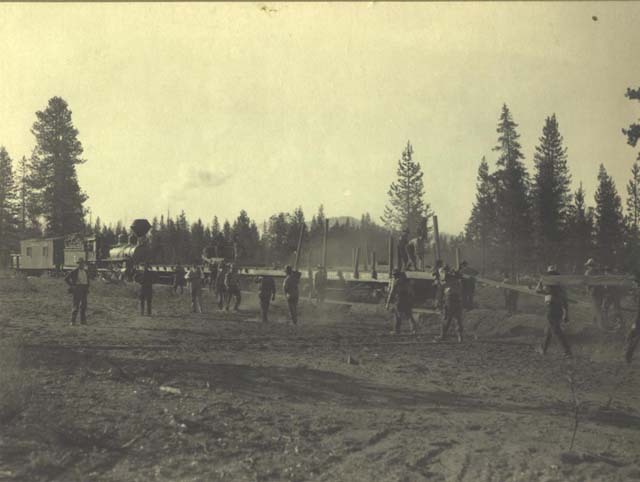 Below are some miscellaneous pictures of the McCloud River Railroad Company. 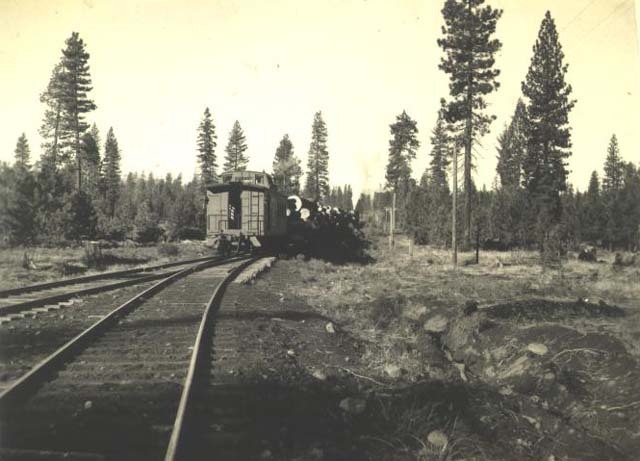 One of the small early prairies switching at a landing. 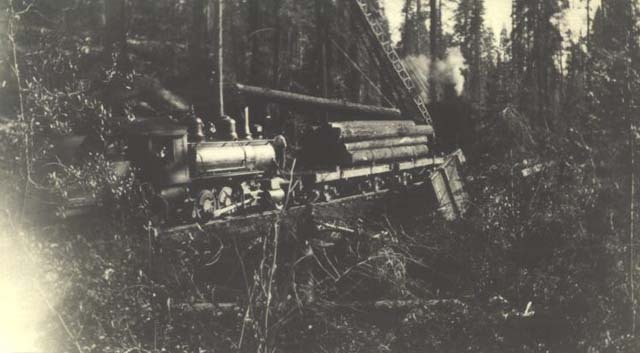 Note the long logs placed across two of the early short 28-foot flatcars. 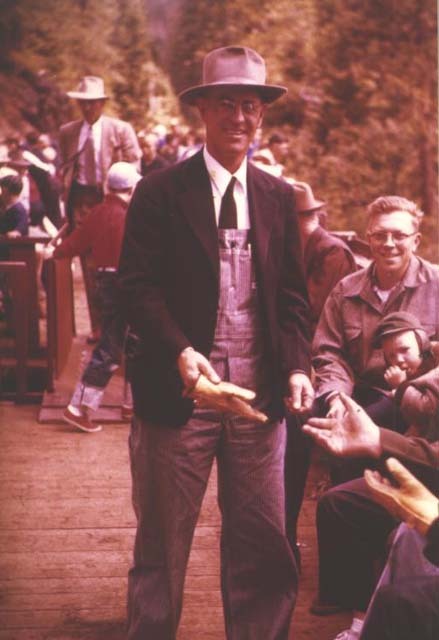 McCloud River Railroad conductor Joe Bonneville on the 1955 Gold Spike special excursion to Burney. The man in the white hat is then-Roadmaster Tom Zeigler, and the man in the glasses to the right is Andrew Linn. 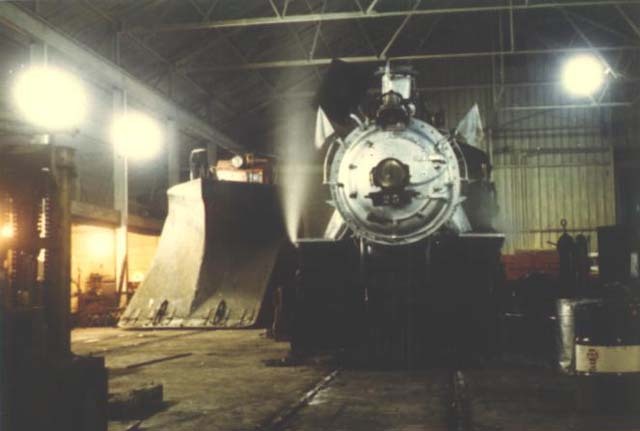 Locomotive #25 and plow #1767 inside the shop building. 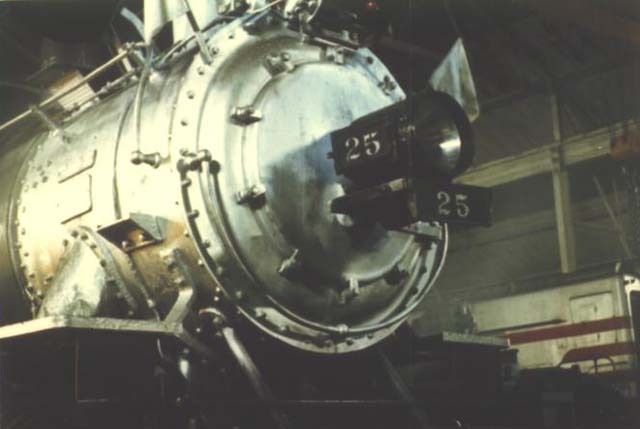 The smokebox of the #25. One of the favored photo spots on the McCloud River Railroad was this long curved trestle a couple miles east of McCloud. 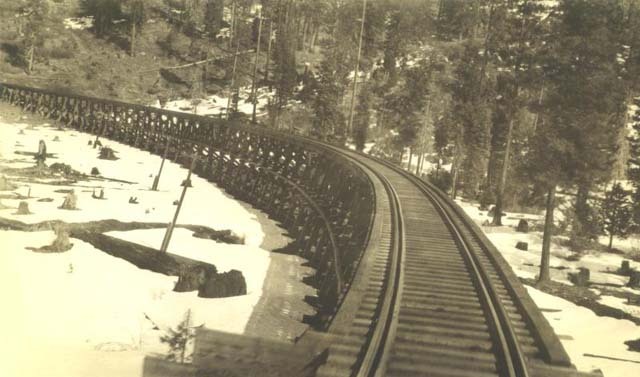 The railroad eventually filled the trestle in, but not before a great many photographers recorded images on this spot. 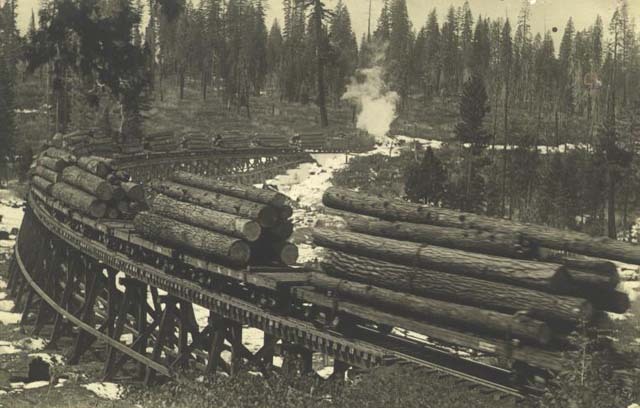 A McCloud-bound log train crossing the trestle. 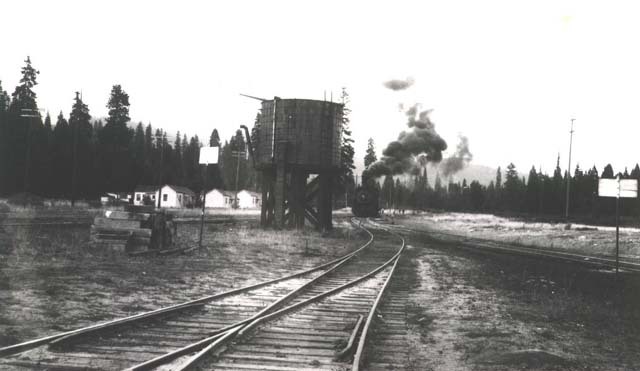 The water tank at the upper end of the McCloud yards with one of the mikados in the background. One of the railroad's mikados switching carloads of new ties, likely in Pondosa. 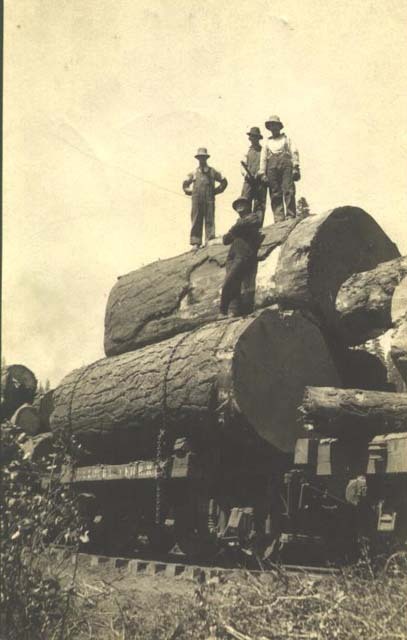 A steel gang taking up a temporary log spur somewhere in the Ash Creek Country. 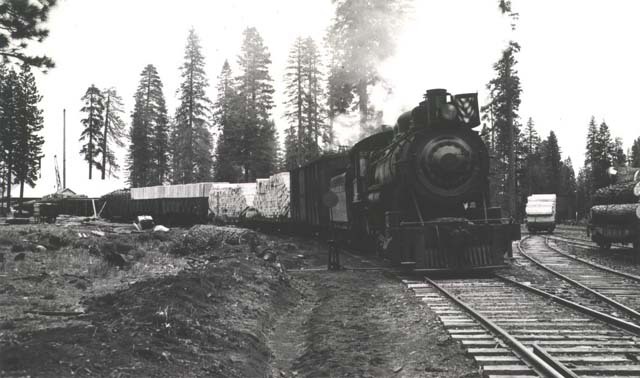 A caboose trailing a westbound log train heading west from Bartle.